Castle Hill Heritage Park, located off Heritage Park Drive in Castle Hill, is a nationally significant site, being one of the earliest and potentially least known Government Farms dating back to 1801. The farm was the staging point for the first-ever convict rebellion on Australian soil in 1804. 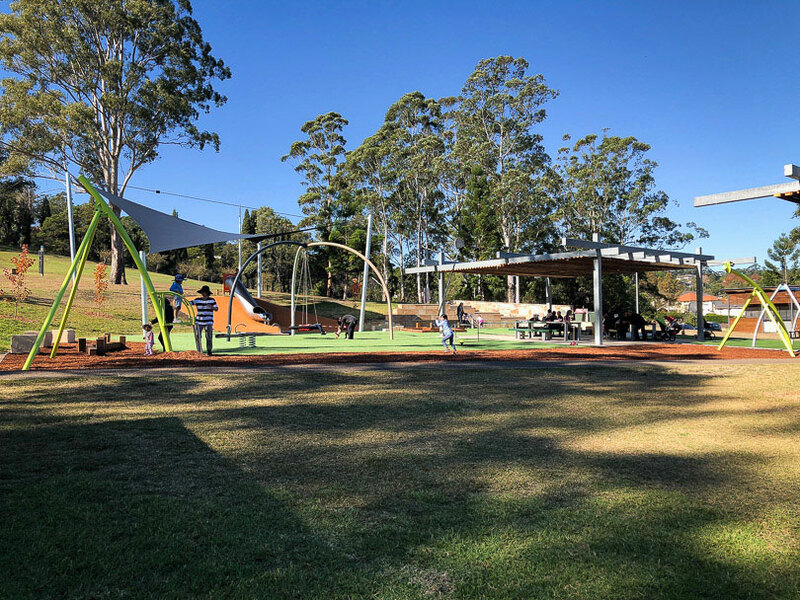 The park is vast, with 20 hectares of rolling landscaped hills, plenty of green space and remnant Blue Gum forest – the trees really are beautiful! 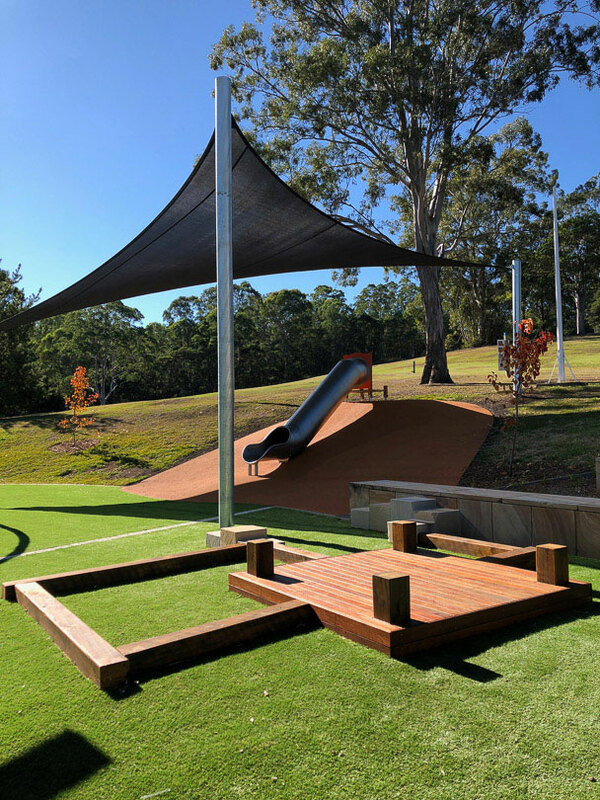 Castle Hill Heritage Park has always been a lovely place for families to picnic, play, walk and learn about nature. 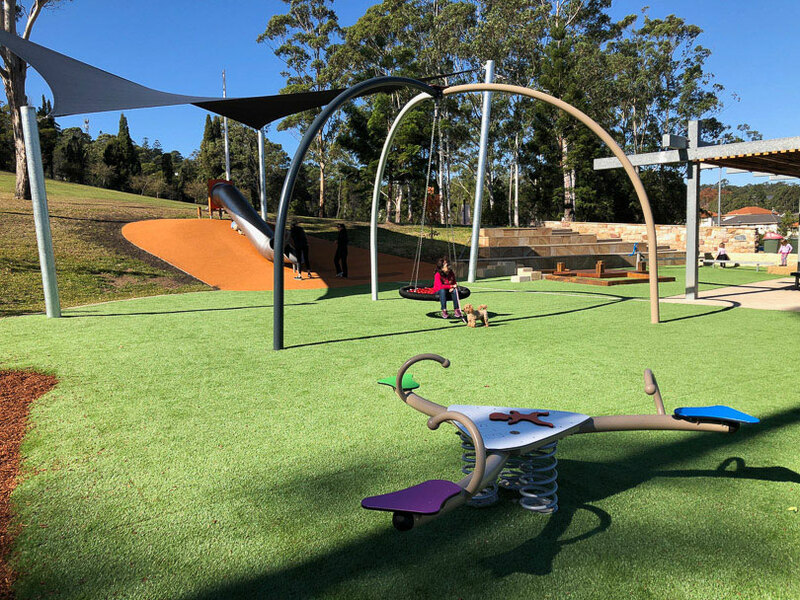 Now, with the upgraded playground the space is even more enticing for families with children. 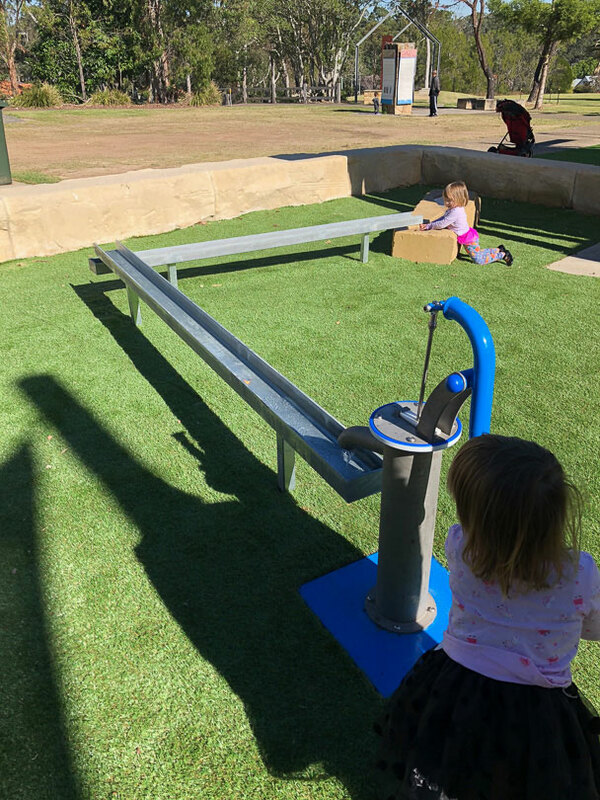 We got to road test the playground today and you can tell that the Hills Shire Council has listened to prior feedback on other playgrounds in the area. They have added shade over the metal slide, safety surfacing (faux grass) under most equipment and baby seats on the swing set. The equipment is great for young kids (nothing too scary) and it’s located right next to quality toilets. 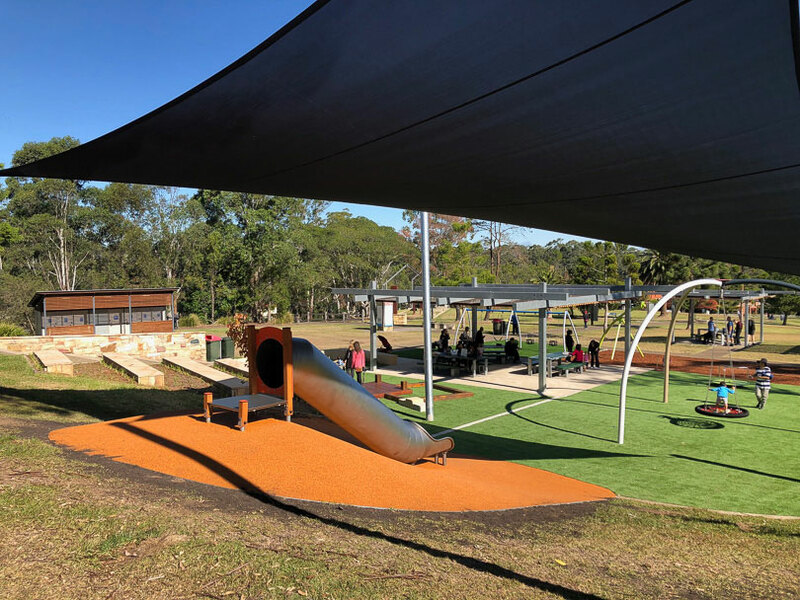 The park’s original features have been retained including concrete walking tracks, picnic areas and public toilets in a heritage-listed site within a bushland setting. The main walking track has educational signs that follow a timeline history of the land from the use by the Dharug people, through establishment of the convict farm, church glebe, lunatic asylum, orchards and small farm holdings. Playground logistics: There’s plenty of parking, shade in places, picnic tables, barbeques and toilets! It isn’t fully fenced but is set away from the carpark and road. There are no refreshments so grab a coffee on the way. Address: Heritage Park Drive, Castle Hill (note: make sure you input this address when using Google Maps as the park has many entrances. This is the entrance to the carpark and is closest to the playground.